First of all, I just purchased Dave's gift last night, and I am so excited to give it to him! I really tried to think out of the box for him, since he is not a jewelry wearer or anything like that. I can't wait to give it to him, and to show you guys! 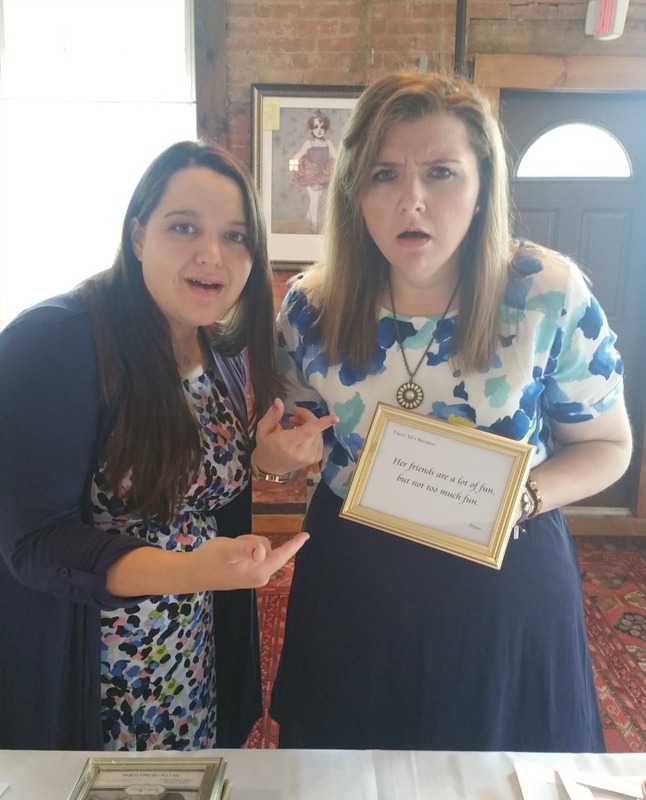 My bridal shower in New York was a combination of both families. I only had a limited amount of time that I was in town, so we decided the more, the merrier! We had about 50 people total, and let me tell you, that room was full of love. I hadn't seen a lot of my relatives in a LONG time. Some in about two years. Seeing everyone's faces, and hearing about their excitement for the upcoming wedding was so special. My mom, Dave's mom, and my bridal party did an amazing job creating a shower that was so me. 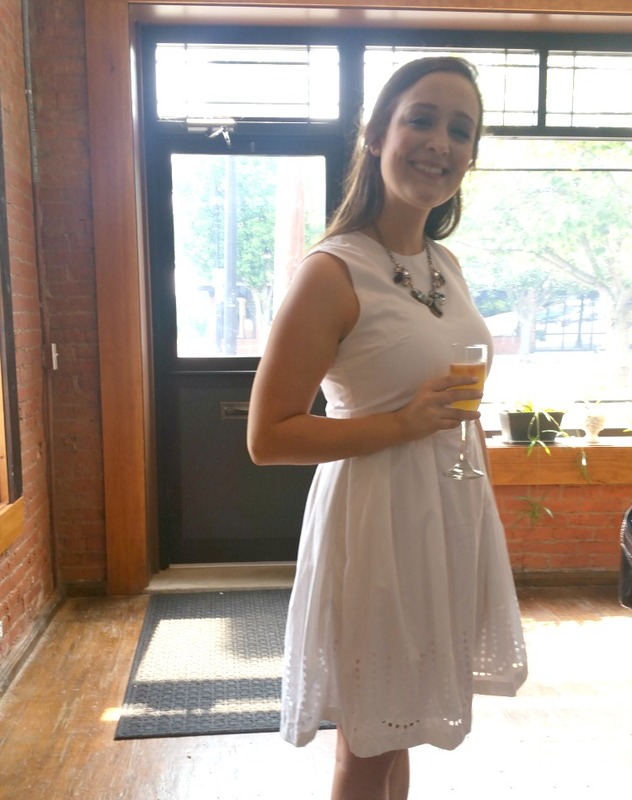 The theme was Brunch and Bubbly, and the main focus was the mimosa bar! Everything was decorated in lavender and gold, and looked absolutely beautiful. The shower was held at Arts & Vintage in East Rochester, and it was perfect. It was decorated so nicely, and we were also able to change anything we wanted as long as we put it back in the end. For decor, there were lots of flowers, and then gold frames on the table. My bridesmaid Meghan asked Dave to write down 20 reasons why he loves me, and they put those in the frames. His reasons were adorable, and I loved that people got to read a little about us as a couple. 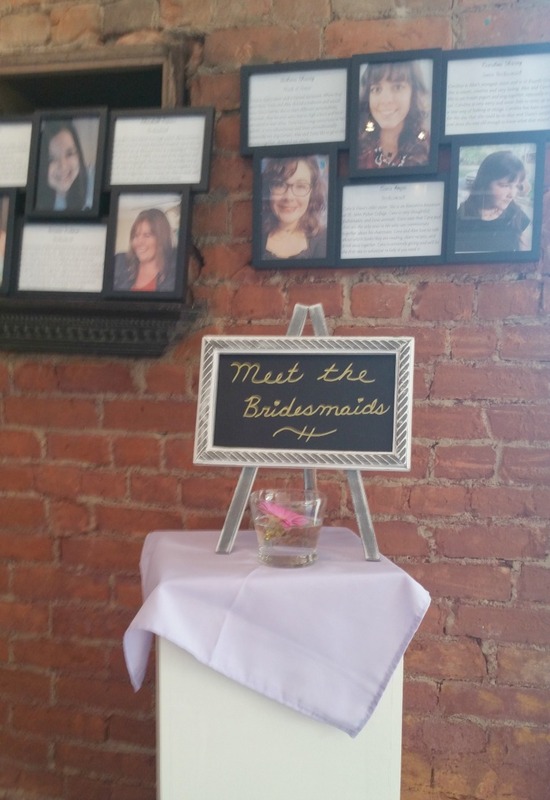 My mom came up with the idea to have a little "meet the bridesmaids" area, where people could read about the girls, and why they are so special to me. I wrote up a few sentences about each of them, which we framed with their photos. 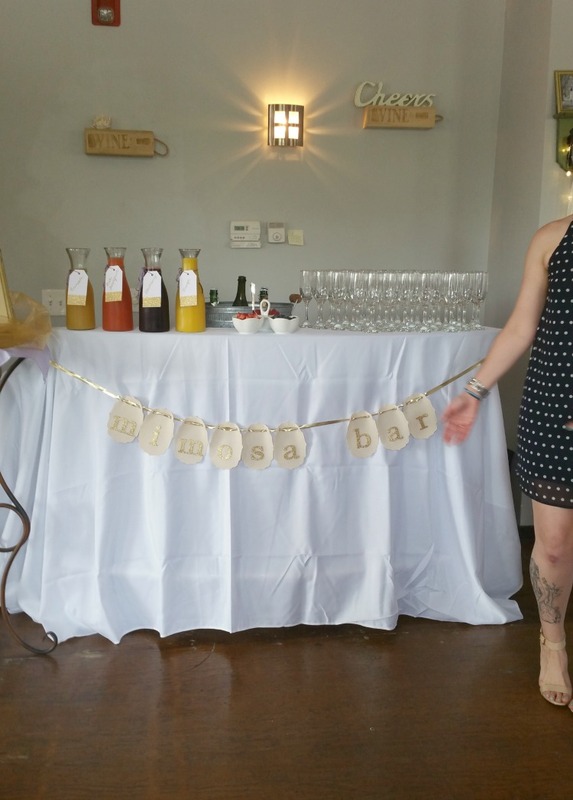 The main attraction at the shower was the mimosa bar. My mom and Patty decided to do this, and it was delicious, and the cutest thing ever. They served four different kinds of juice, with two kinds of champagne, and then had berries and fruit to mix in if you want. My mom bought the glasses on Webstaurant Store, and we ended up selling them on a wedding swap Facebook group after. I think the glasses were a very classy touch. Everyone was so kind, and their cards made me tear up. My mom's gift to me was my absolute favorite, but I can't show you yet. It is my something blue. After the shower, we went out for cocktails and tapas downtown, and I was surprised at how much of my family came! After that we went to a beach bar, where we drank, danced, and ate Garbage Plates (you should google that. They are delicious.) Thank you to all who made this wonderful day possible!